The name of the game this year was HOSPITALITY! We wanted to make sure that all of 96th Street knew about our special masses and our fervor. Parishioner Leo G. came up with the idea to create the DIY sign we hung on the front steps a few days prior. Just as the symbolism of ashes calls us to reflect upon the temporary nature of being human , our sign created with butcher paper and charcoal was at the mercy of NYC springtime weather and the tumult of a busy urban block. What’s eternal is God, and also what we are blessed with inside our doors - beautiful liturgy and Catholic fellowship. We know of at least one amazing family who visited us for the first time last year for Ash Wednesday and stayed on. Recognizing that Ash Wednesday is a day when we welcome many first-time visitors, Gregorio and our Hospitality Ministers Zoriah and TJ were on-hand at a special “Welcome + Hola” table to greet, answer questions, and generally make everyone feel like they were home. We take very seriously our mission for those within our parish but also those outside our doors who just haven’t found us yet. 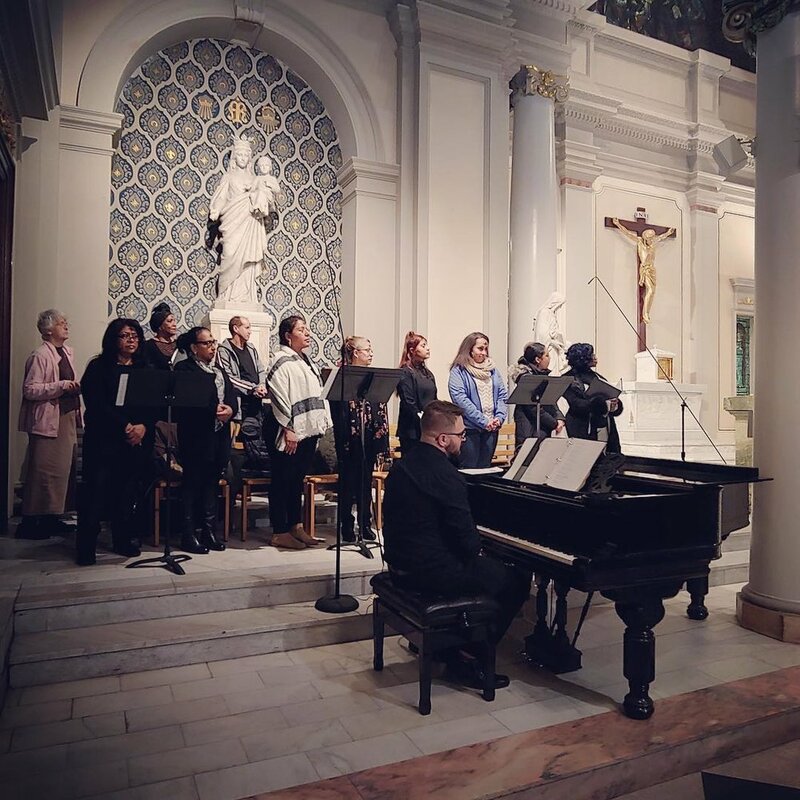 Speaking of community, starting the first Monday of Lent, we’ll be sharing a short meditation via our app for us to reflect upon together as a parish. If you haven’t already done so, download the St. Francis de Sales to connect with us! 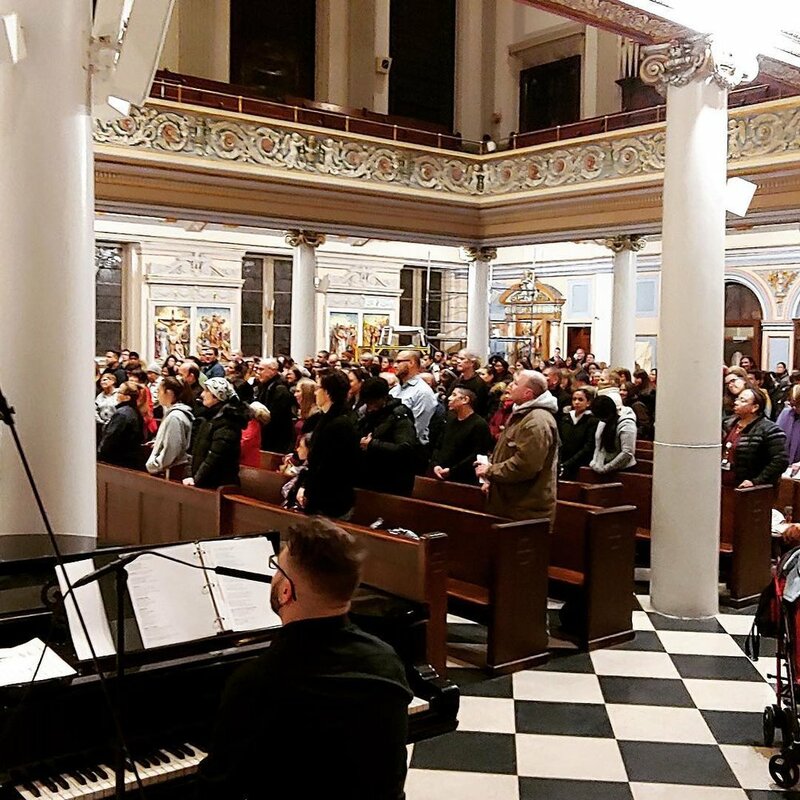 We’ve got great events scheduled throughout Lent: Pop-Up Theology, A Reflection On St. Oscar Romero, prayer groups, Book Club, and many other opportunities to connect. We look forward to journeying together this Lenten season!